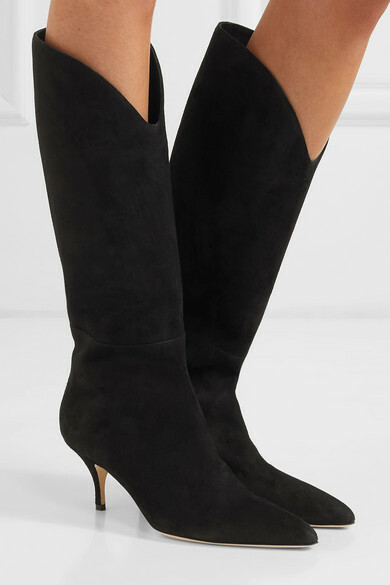 Magda Butrym's 'Czech' boots are a refined interpretation of Spring '19's coveted cowboy styles. 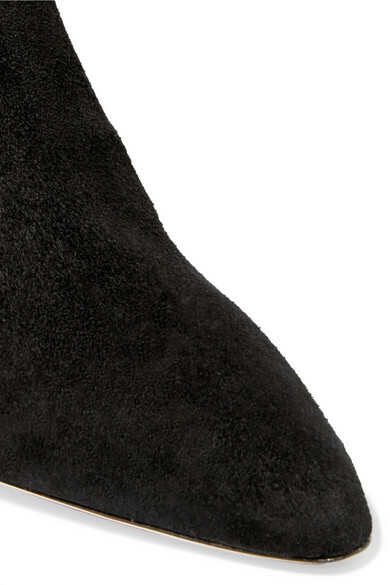 This pair is made from suede and has a dipped cuff that gives the appearance of longer, leaner legs. They come with a removable brooch - the crystal and pearl fringe swishes prettily as you move. Shown here with: Magda Butrym Dress, Bienen-Davis Shoulder bag, Kenneth Jay Lane Earrings.